Welcome to Learn About Tea! Thank you for visiting Learn-About-Tea.com. Tea has been around for more than 5,000 years and has the distinction of being one of the most revered beverages around the globe. Whether drinking it hot or over ice, this tasty brew is second only to water in worldwide beverage consumption. Considering its rich history, there continues to be growing demand and increasing interest in the rewards of drinking quality tea – either prepared from loose tea leaves or with premium tea bags. In addition to the brew's delicious, satisfying taste, there are several reasons for the surge in popularity for the Camellia sinensis plant, from which all varieties originate. Hundreds of scientific research studies have linked regular consumption with increased health benefits. The research findings have attracted the attention of scientists, medical professionals, holistic providers, and health-conscious consumers around the globe who are seeking natural solutions to promote wellness and address a plethora of health-related concerns. With the brew's potential for helping improve health and well-being, demand has led to the availability of more variety, forms, flavors and specialty offerings, giving consumers greater choice in quality loose leaf blends than ever before. In addition, herbal teas derived from fruits, flowers and/or natural herbs (rather than the leaves of the Camellia sinensis plant) have continued to increase in popularity. Market demand for specialty and branded coffee houses has peaked in many areas. Consumers are seeking out new and different beverages to satisfy their palates. Flavorsome, aromatic varieties are a natural choice among those who have drunken a cup of java on a daily basis and are ready for a refreshing change. With these significant trends and research findings, there comes a need for more awareness, education, and access. 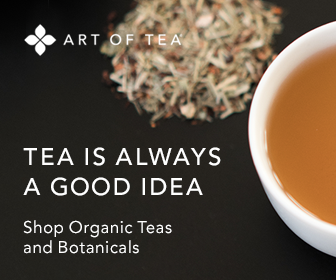 In addition to serving as a comprehensive online knowledge base, Learn About Tea also provides a Quality Tea Shop featuring a delicious selection of unique, fine loose leaf and herbal offerings from ArtofTea.com. Varieties include green, black, oolong (wu long), white, rooibos, fruit, matcha and herbal blends. There are a wide variety of flavored and decaffeinated selections, as well as fair trade and organic choices. 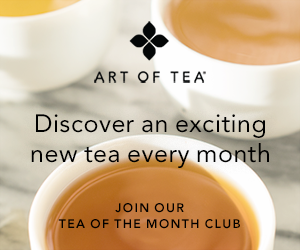 Begin your journey to learning about the pleasures and rewards of drinking one of the world's favorite beverages by clicking on the section tabs to the left or the article descriptions provided below. Please share your thoughts any time by clicking here and completing the contact form. Your input is always welcomed.